Empower your app with real-time context-aware campaigns. 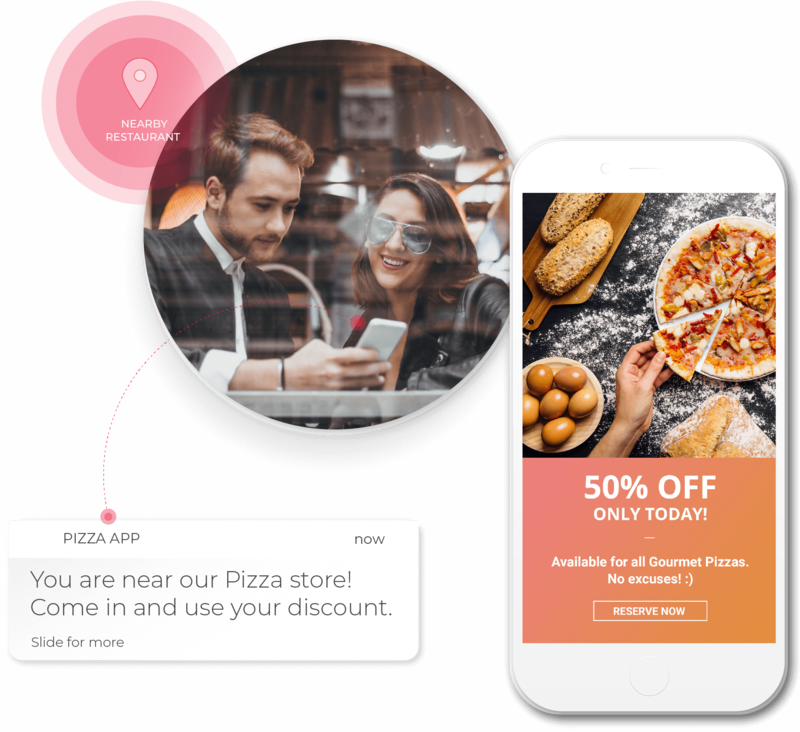 Automatically send richer and more compelling mobile app notifications to drive engagement, ongoing loyalty and increase marketing effectiveness. 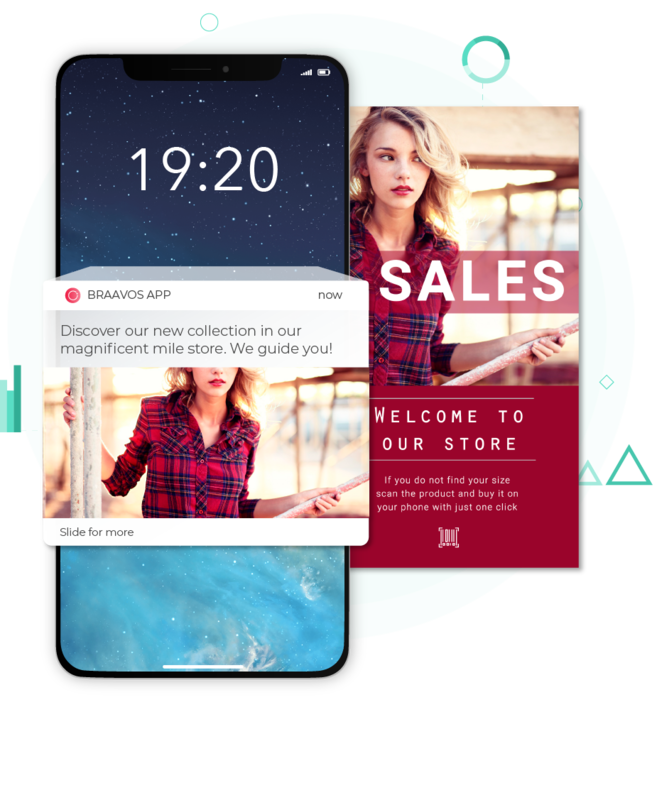 MOCA provides a full marketing automation tool that enables digital marketers to quickly create and run mobile marketing campaigns using different geo-behavioral triggers. Easily set up location-aware notifications for Android and iOS devices. Deliver content-rich campaigns based on location, user profile data and behavioral tags. Optimize campaign performance using A/B tools. Build dynamic user experiences using journey campaigns. 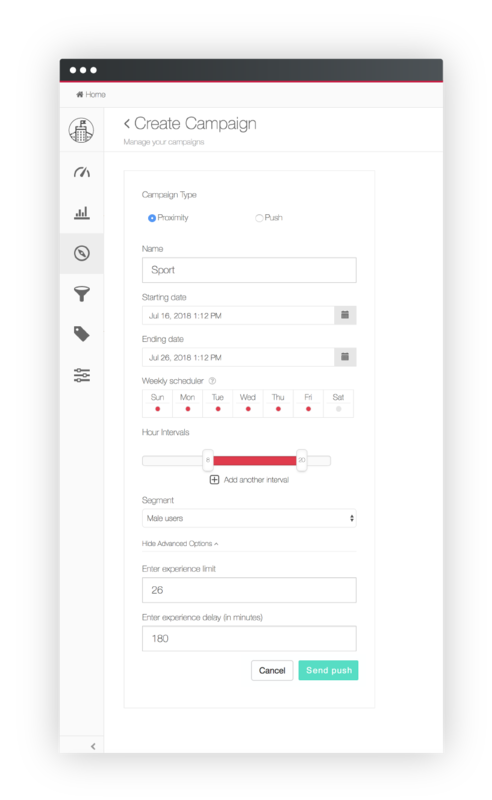 Automated campaign manager with online dashboard. Full access to the MOCA REST API. Use remote push notifications and proximity-based notifications to engage mobile users. 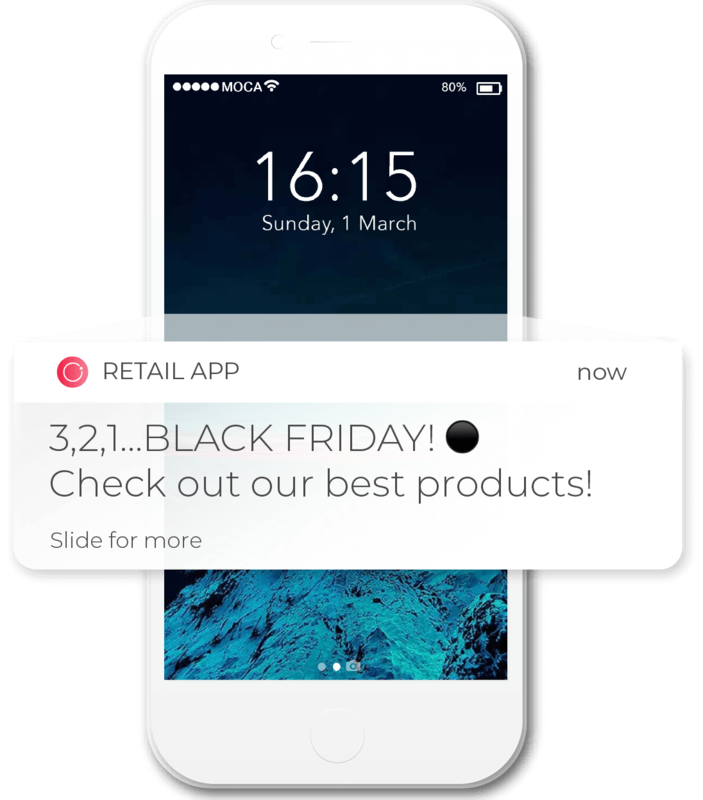 With MOCA mobile-only campaign manager you will be able to communicate with your mobile audience through the right channel at the right time along their path-to-purchase.. Remote notifications can be triggered and sent to mobile users immediately or scheduled and based on what the user has done inside your app. MOCA also supports push notifications with embedded images. Automatically reach customers when they enter, dwell or leave an outdoor or indoor location. Send highly targeted messages to customers based on real-time location data. For example: customers who visit a competitor’s location, or re-engage customers you haven’t visit your store in a while. MOCA SDKs allow the mobile app to wake up and perform an action. Display notifications when a user enters or leaves a location. Delivers notifications when a user stays within a designated area for at least “x” seconds. Supports emoticons within message content. Supports displaying full screen HTML5 content even without Internet connection. MOCA’s new marketing tool was created to help digital marketers to adapt to new buyer behaviors and expectations. 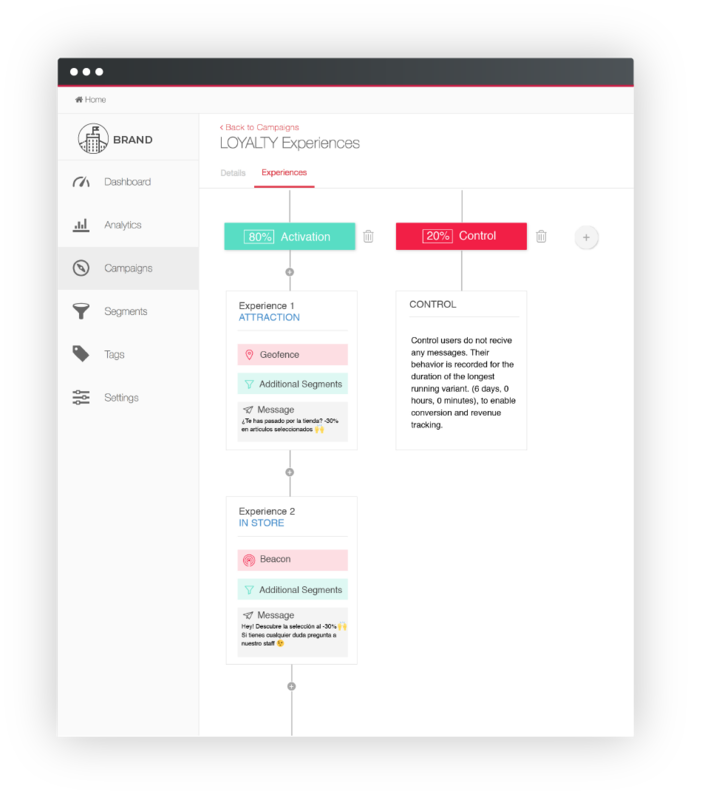 Now, you can build complex customer journey campaigns in few minutes. Create dynamic app campaigns using message sequences triggered by customers behavior. 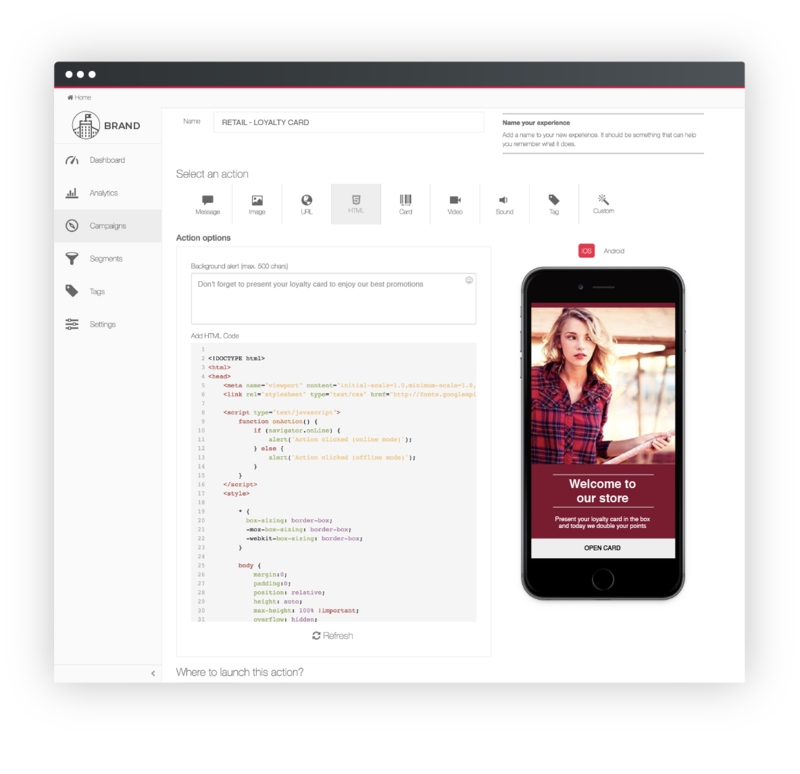 MOCA supports the following content types: Text messages, Images, URLs, Deep links, HTML5 interstitials, Mobile Wallet cards, Video, Sound and Tags. With MOCA campaign editor, digital marketers can easily manage and edit all their mobile experiences. Quickly preview your marketing content on multiple mobile devices and adjust your content if needed. One of the best practices to adhere to for any mobile marketing campaign is how often messages are delivered. MOCA's experiences manager was designed to protect mobile-end-users. Target – audience segmentation based on location, visit duration, demographics, and other attributes. Frequency – controls the maximum number of times individual users see your campaigns. Impression limit – is the maximum number of impressions you will allow an individual user to have per day.